The March/April issue of Northern Gardener includes a profile of Minnesota garden blogger Amy Andrychowicz of the Get Busy Gardening blog. It was fun to meet Amy and see her suburban garden in Chaska. I love the way her vegetable garden is set up, and she inspired me to start a few more annuals from seed this year. Northern Gardening — Terry Yockey’s website and blog about her incredible garden in Red Wing has been around since the 1990s. Stop by for lots of rock-solid advice and inspiring photos. Renegade Gardener — Don Engebretson is a writer (he writes Northern Gardener’s design column), speaker (check him out at the Minneapolis Home Show, if you are there) and landscaper. Great advice, no bull. Garden Drama — Northern Gardener’s How-to columnist Eric Johnson writes about DIY, plants and design. He has a book, too. Everyday Gardener — Meleah Maynard, who writes about perennials for Northern Gardener, has a blog geared toward urban gardeners with lots of down-to-earth basics included. The Garden Buzz — Plot to Plate columnist Rhonda Fleming Hayes has a beautifully photographed blog about gardening, especially for food and bees. The Blundering Gardener — Many people know Bonnie Blodgett from her gardening column in the Sunday St. Paul Pioneer Press and her book, Remembering Smell, but she has a nice blog, too, and a newsletter. 6 Foot Mama is the blog of Hennepin County Master Gardener Jennifer Ebeling. She writes about gardening, family life and home decoration in her blog. She also hosts a weekly podcast which often is an interview with an author. Good stuff. Garden Bite is the blog and radio show of Terri Knight, who is also host of Dig-In Minnesota, a great garden show that you can watch on the web and sometimes on TV. Paula’s Patch — Food, gardening from the northern suburbs. The Green Girls — This is the seasonal garden blog by the gals at the Star Tribune. The U of M Yard and Garden blog includes updates from the U’s scientists and educators. It’s written for Master Gardeners, but there is lots of information with checking out. 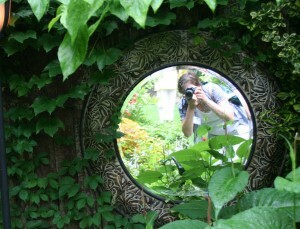 Do you have any favorite garden blogs or websites? Let us know in the comments. I am new to the industry and enjoy reading and learning from experts. I am no green thumb but I try my best. I want to learn about the different grasses which ones can overtake weeds, or which one is best for high traffic areas etc. Any articles you can send would be appreciated.